I am considering a digital Horizon P-1000 tachometer for my Lycoming 0-320. What are the operating ranges for the engine, Green, Yellow, and Red? There's no really good answer there ... 2700 is generally considered max RPM ... that being said most RPM limitations are driven by the air-frame the motor is mounted on or the prop not the engine. The very same motor may be used in other applications (Helicopters is a good example) at a much higher RPM. I'd check the exact model of 0-320 you have and make sure there's not a limitation from Lycoming. I believe some are rated at lower RPMs. Temp ranges are another story, those are easy to find. Easy info to find . Goggle Lycoming 0-320 manual and it should take you right to the Lycoming site and the "Official" 0-320 operating manual . Has the Min./Max numbers and the RPM info . Like Lee said the RPM will vary from installation to installation depending upon prop installed , etc. My Aero Sport Power engine came with the overhaul manual that included static numbers obtained during the test runs . Numbers were pretty much spot on with the Lycoming manual that came with the engine . My numbers with an Almar prop installed on my AC are different than the published Lycoming numbers . That is all ! Sorry I didn't mention that this is a 1956 0-320 with no letter designation which later became 0-320A1A from what I've learned. And I looked at the online PDF manual too. The engine is in Thorp N9MR first flown in 1982 with just over 400 hrs and equipped with a Demuth prop. I have the small operators manual dated 2-1-1961 which states the rated RPM-2700, Performance RPM-2450, and the Economy RPM-2350. This engine was also balanced about a month ago. I was wondering how the tachometer should best be marked. I reckon the red line would be 2700 but not sure of the rest for the yellow and green arcs. And maybe it doesn't matter.... The reason I asked is that the Horizon Instruments order form is asking the RPM ranges. And I was pretty impressed when reading the heilo's spool em up to 3000 rpm. Speaks well for the engine. So that's the rest of the story. All the aerospace engineers can chime in here , but I think the only RPM you really need to know is the red line for the engine as stated in the Lycoming manual . Although on the ground I try and avoid idle RPM as much as possible to avoid plug fouling . I have 2700 RPM marked on my tach as red line . Pretty sure there are/were some metal props that had a certain RPM that was to be avoided...engineers can ring the bell now ! That's the end of my story ! The type certificate is another good source of information. My T18 is powered by a 1955 O-320 A2A. I have the original Lycoming Operators Manual covering O-320 series which I have read cover to cover and like Rich says the only RPM limitation to be found is 2700 RPM. The engine can run at this rpm all day with no ill affect (apart from fuel consumption). Limitations at lower RPMs' are primarily there because of metal props. More important are the pressures and temps. While on the subject does anyone have experience with the Horizon Instrument P1000 tach? It seems to be the only digital which can monitor both mags. A little of my history. I've owned N9MR since July 2017 and am loving it. Not had the chance to fly it much, unfortunately. Have done a VERY thorough condition inspection which resulted in the removal of the A-frame to reweld cracked welds on the lower attach brackets. Learned much like "messaging the ailerons" [boy does that make a difference] which resulted in the removal of a fixed aileron trim tab. The original builder was not aware that could be done. The airplane flies with little to no tendencies to roll anymore. Got pretty lucky the plane is straight and appears to have been well built. My flying experience is the usual Cessna span cans and I have owned a 1946 Aeronca Chief [that thing taught me how to fly tail draggers], built a Quickie with a Demuth prop that I still fly [really miss those loooong conversations with Mike Demuth]. The Quickie is a great handling little plane and I get to explain it to people a thousand times a year [most think it came out of Star Wars or don't EVEN know where to start asking questions and are shocked it actually flies], and a 1950 Cessna 170A which until the Thorp came along was my favorite. I'm very impressed with the Thorps crosswind controllability. That took me by surprise. I've not flown a plane of the Thorp's wing loading before. Last March while at the LA Co. Airshow at Lancaster CA, Fox Field, I met a Mr. Roscelli or something like that. He is in his 90's has a Thorp project and showed me John Thorp's metal brake and floor press he built the prototype with. He worked with Kelly Johnson at the Skunk Works. Some of you may know him. A really nice guy. Well that's about it for me. Hope I haven't bored ya'll too much. Thanks for your help. A rare treat to meet Frank Roncelli. He is quite the character. 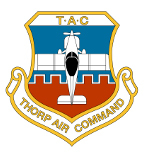 The Thorp history is rich in aeronautical/aviation expertise, both past and present. It looks like you have a pretty long and varied history with airplanes so why the sudden interest in monitoring both mags? Is it a concern for losing a mag, the tach signal or something else? Just curious. I have been running a digital tach off the left mag for a couple of years. I had installed one in my T-18 and liked it very much. Extremely easy to install, requiring no direct wiring to the engine... you can connect it directly to the ignition switch in the panel. I liked it a lot. The Dynon EMS connects to both mags at the ignition switch, works like a charm. The reason I like having both mags connected to my EMS is during the run-up mag check if only one mag is connected the rpm readout drops to zero when that mag is off. The P1000 also keeps displaying rpm if one mag is out or switched off of course, and it has LEDs to indicate a failed mag, FWIW. Has LED to indicate max RPM exceeded also. I agree with you Bruce, and rpm displayed during the complete mag check would seem to be mandatory for a proper check. Thanks, I hadn’t thought of signal loss because of grounding out the switch. Mine reads the spinning magnet inside the magneto so it will display RPM as long as the magneto is turning and the tach has power. My interest in a digital tach came when balancing the engine. The mechanical tach, original to the airplane, was 100+ RPM off. The discussion then diverted to a digital tach as a replacement. With no familiarity with them, I read all the info I could find and the P-1000 stood out. I liked the monitoring of both mags and the flight time recorder which stated it keeps track of the previous 24 flight times, thought that would be great for fuel management. This T-18, N9MR, had the mags replaced before I bought it. Was told that during the previous condition inspection the A&P wanted to remove one just to see what it looked like inside and they were shocked at what they saw. That mag was about done and they were replaced. So monitoring both just sounded good to me. I forgot to mention before one plane that I did have the privilege to fly once. Back when the EAA, or FAA I should say, allowed LT seat time in Aluminum Overcast I logged a whole 5 minutes PIC in the B-17. To this day I can remember every second of that flight.